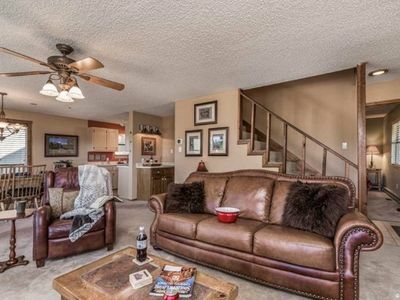 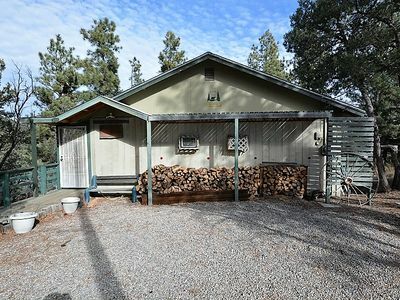 Blue Jay: Cute, Rustic 2 Bedroom in the Upper Canyon! 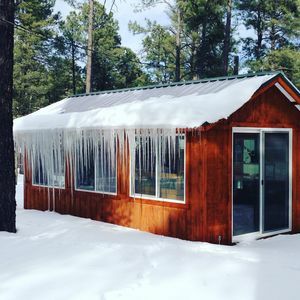 Blue Jay is a cute 2 bedroom cabin with queen beds in each bedroom and a sleeper sofa in the living room, perfect for 2-6 people. 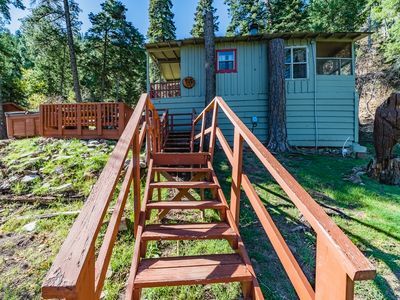 The bathroom has a shower/ bath tub combination. 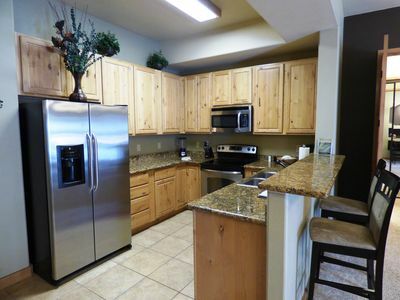 There is a full compact kitchen with a small breakfast table with a couple of chairs. 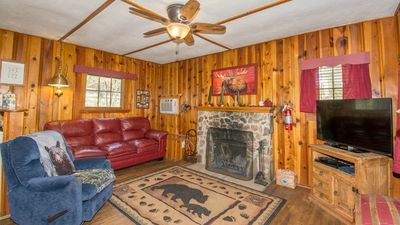 You will have plenty of space outside as there is a small covered front deck, a lower deck with a picnic table, and a screened in back porch with a table and chairs. 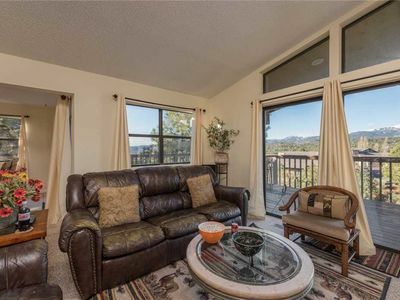 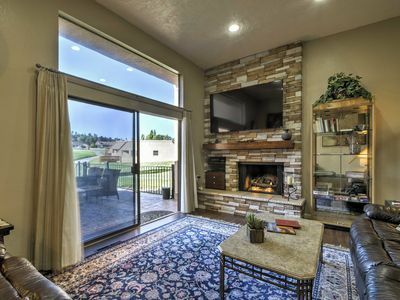 Soak up the Mountain Air in the private hot tub, and grill on the gas or charcoal grills! 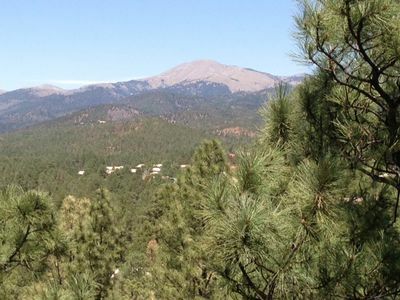 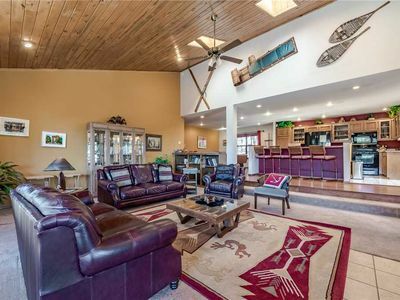 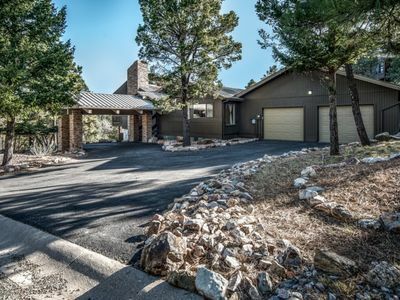 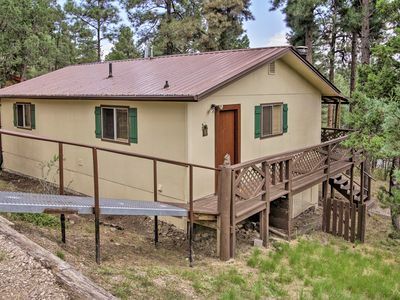 This cabin is located in the Upper Canyon, just a short walk away from the Rio Ruidoso River! 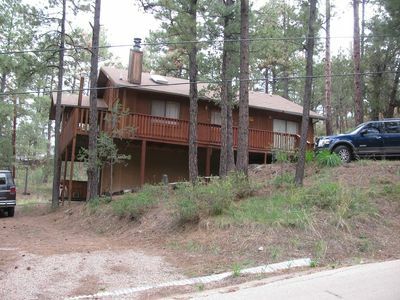 Wildlife is never far away… here you will see deer, turkey, elk, and in the warmer months, you may even see a black bear! 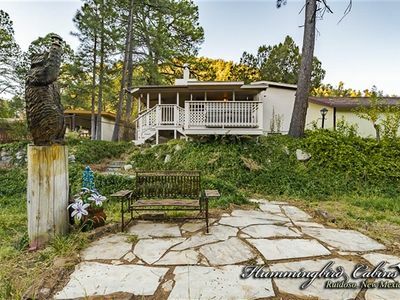 Affordable Mountain Home with Hot Tub real close to nature. 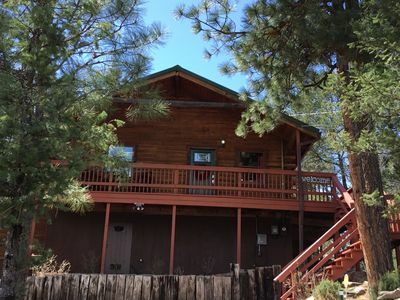 Large 2 Level Cabin, Ideal for 2 Families! 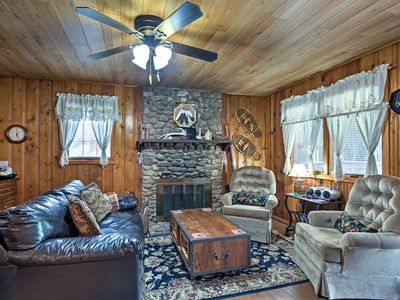 You Will Love This Fun Cabin! 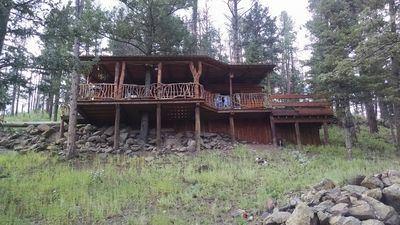 Sleep 6 Right on the River! 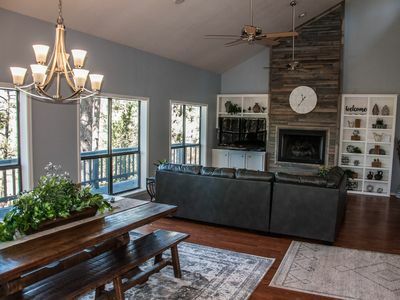 Lazy River Hideaway: 'Let the river motivate you' With hot tub. 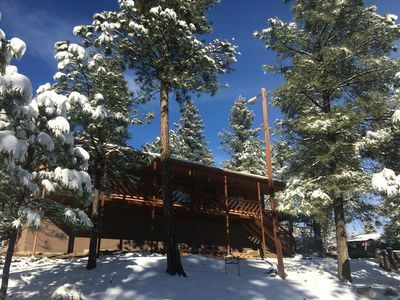 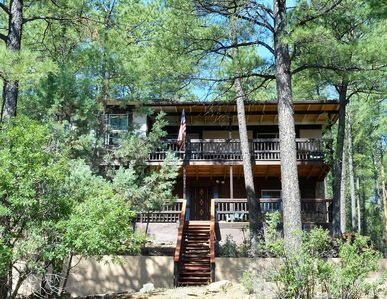 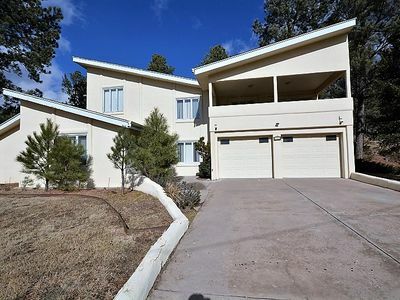 NEW!Cabin on River-Near Casinos and Ruidoso Downs!